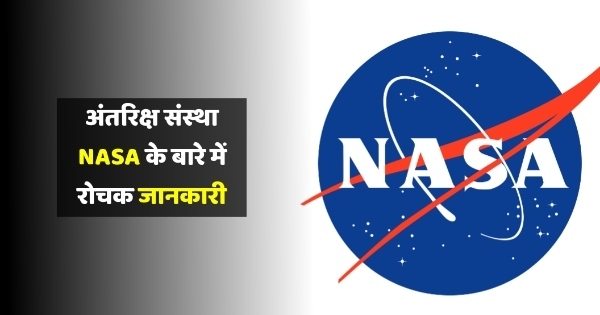 प्रस्तुत लेख में ऐसे ही कुछ Facts about NASA in Hindi सामान्य ज्ञान के रूप में दिए गए है. - NASA अवकाश संस्था को अधिकतर लोग दो अक्षरों के एक शब्द NASA ही पहचानते है हांलाकि ये इसका पूरा नाम नहीं है. NASA का पूरा नाम नेशनल एरोनोस्टिकस एन्ड स्पेस एडमिनिस्ट्रेशन यानी National Aeronautics and Space Administration है. - आपको जानकर हैरानी होगी की अंतरिक्ष विज्ञान की ताजा तरीन अपडेट्स और शोध करने वाली NASA असल में 60 साल पुरानी अवकाश संस्था है. NASA की स्थापना 29 जुलाई 1958 को हुई थी. - सन 1957 में सोवियत यूनियन के द्वारा प्रथम आर्टिफिसियल सेटेलाइट लॉन्च किया गया था जिसके जवाब में अमरीकी राष्ट्रपति Dwight Eisenhower ने अगले ही साल NASA की स्थापना का कदम उठाया. - NASA को शरुआत में NACA से जाना जाता था जिसका पूरा नाम National Advisory Committee for Aeronautics यानी नेशनल एडवाइजरी कमिटी फॉर एरोनॉटिक्स था. - NASA का 9 मंजिला मुख्यालय यूनाइटेड स्टेटस के Washington, D.C. में स्थित है जिसे Two Independence Square के नाम से भी जाना जाता है. - NASA संस्था का मुख्य सिद्धांत वाक्य " For the Benefit of All " है जिसका मतलब " सभी के फायदे के लिए " होता है. Facts about NASA in Hindi | नासा के बारे में रोचक जानकारी : America ki space agency NASA ke bare me to aap sab jante hi honge. Lekin is agency ke space se jude kaam-kaaj, space yaan tatha anya sanshadhan ke bare me bahot kam lo hi jante hai. Prastut lekh me ese hi kuchh Facts about NASA in HIndi samanya general knowledge ke rup me diye gae hai. - NASA space agency ko adhiktar log do aksharo ke ek shabd yaani NASA se hi pahechante hai hanlaki ye iska pura name nahi hai. NASA ka pura name National Aeronautics and Space Administration hai. - Aapko jankar hairani hogi ki space science ki latest se latest research karne wali space agency asal me 60 year purani hai. NASA ki sthapna 29 july 1958 ko ki gai thi. - 1957 me Soviet Union's dvara first artificial satellite launch kiya gaya tha. Iske jawab me American president Dwight Eisenhower ne agle hi saal NASA ki sthapna karne ka kadam uthaya. - NASA ko shuruaat me NACA ke name se jaana jata tha jiska pura name National Advisory Committee for Aeronautics tha. 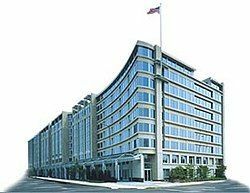 - NASA ka 9 floor uncha headquarters washington, DC me sthit hai jise Two Independence Square ke name se bhi jana jata hai. - NASA space agency ka main motto " For the Benefit of All " hai jiska arth " Sabhi ke fayde ke liye " hota hai.